Today at MIPIM, former England football captain Rio Ferdinand will outline plans for a private sector investment initiative that aims to deliver an integrated, long term approach to the building of social and key worker housing, alongside the creation of new communities. 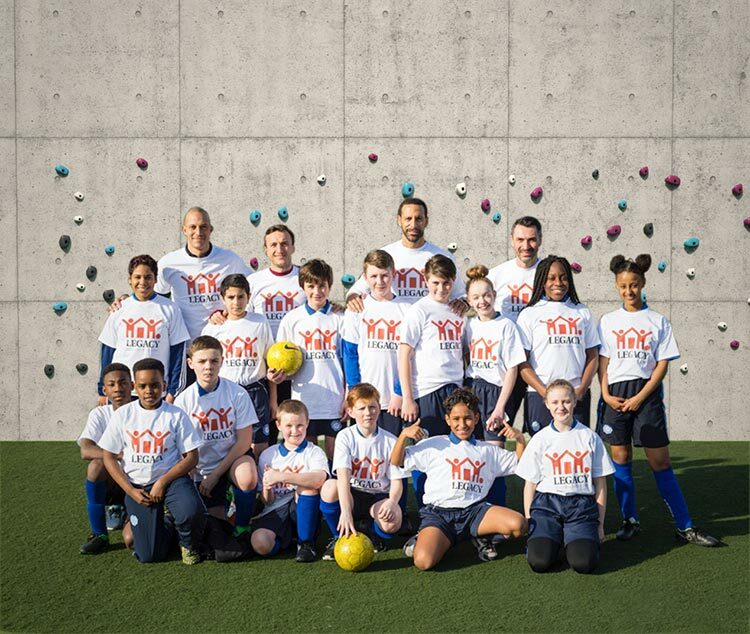 The Legacy Foundation is a charity set up by Rio Ferdinand, Mark Noble, Captain of West Ham United and ex England International footballer Bobby Zamora to provide onsite community, sporting and youth facilities. They will work alongside McLaren, which is acting as the development partner. The venture was conceived by Rio Ferdinand and fellow footballers, Bobby Zamora and Mark Noble. All three are passionate about improving the life chances of children in communities that are similar to those that they were raised in. Legacy recognises that during times of austerity Local Authorities are looking for innovative ways of delivering social and affordable housing for their tenants as well as building schools, surgeries and sporting facilities to support the local community. The Legacy Foundation will allow Local Authorities to retain their land holdings and take an annual income which will benefit other initiatives in the wider community. ‘We aim to deliver schemes with Local Authorities that not only reduce the pressure on affordable housing, but will empower their tenants through an on-site sporting academy as well as providing high quality accommodation for all. We will work with major private sector investors to devise a scheme that is both affordable and, indeed, accessible for all. The model can deliver schemes without the Local Authority needing to finance the cost of the build programme whilst giving full occupancy and control when completed. We want to work closely with Local Authorities and Central Government to understand precisely what is required in their area and look to deliver a scheme that will empower communities for generations. ‘I’m so excited and proud to be part of Legacy and its Foundation. We will change the face of communities living in local council housing for generations, with a high percentage of all our schemes delivering social and key worker/affordable living, whilst also providing fantastic sports and academic facilities for tenants and adults alike. I know full well what it is like to have lived in such areas as Legacy is targeting and look forward to finding the next West Ham Captain in our foundation’. John Gatley, Managing Director, McLaren Property said: “We are very pleased to have been asked to join the Legacy team and to help deliver The Foundation’s initiative of maximising the social and affordable element of its major residential led developments. Colliers International is the strategic real estate advisor to the Legacy Foundation.